So here it is, the last post this year. It's been a full one. I am currently enjoying my well deserved winter vacation in a mountain resort. I am pretty excited to spend New Year's on the slopes and my snowboarding skills are just about to get better. I would have probably worn something similar to this to a party, had I decided to stay in the city. Hopefully it can serve as inspiration in case you still haven't figured out what to wear tonight. Hope you have a wonderful time. Happy new year! See you in 2014! It's that time of the year when we draw a line and count up the good and the bad. We take a look back at our accomplishments, get rid of the old and bring in the new, make new year's resolutions and plans for the future. As customary, I put together a compilation of my favorite outfits this year. Click on the links to see the original post. Don't fret, this is not going to be a gloom and doom post. No apocalyptic view here. I was just in the mood for a good old fashioned all black outfit. I haven't done one in quite a while and I really wanted a comeback. I was going for a hard and soft juxtaposition by mixing the leather pants with the delicate lace top. I've worn a lot of leather lately, so I decided to do something a little bit different this time. I was quite tempted not to accessorize this at all, but very last minute I decided to throw on some red accents. Pink will definitely not be my next year's color, regardless what the experts say. I think I will stick to black and red, as long as I remain a blonde. But of course, this is all subject to change. I took advantage of the gorgeous hair and makeup from my photoshoot with B.A.D. Style and took some photos of my own. I was definitely into full Christmas mode given the choice of colors and patterns in my outfit. This skirt is super festive and I never miss out a chance to wear it especially around the holidays. Hope you guys have been good this year and got lots and lots of presents from Santa. Happy Holidays! I'm heading off to the Fashion Fridays fair. Come and say hi! I am super excited to present my latest project in collaboration with B.A.D style. The talented designer behind the B.A.D style name, Adriana, challenged me and 2 other fellow bloggers to provide 5 key words (such as color, texture, length, pattern) based on which she would create a design. Mine were: purple, dress, knee length, leather, inserts). The dragonfly she created using suede blew me away and I absolutely adore the embellishments. Hope you guys will enjoy the result! You can also check out some behind the scene photos here. Fashion Fridays, editia de iarna, cel mai mare targ de design romanesc din vestul tarii, are loc in Timisoara in weekendul 20 - 22 decembrie 2013, la Zai apres cafe. Cei 30 de expozanti au pregatit colectii special create pentru acest eveniment, care se regasesc in cadrul sectiunilor - design vestimentar, accesorii si bijuterii. Tema de inspiratie este data de farmecul si magia sarbatorilor de iarna, designerii realizand piese unice, pe care le gasiti doar in cadrul celor trei zile de targ. Here's a glimpse of my recent fun activities. We spent the weekend in my boyfriend's hometown and decided to take his dogs out for a walk on Sunday. Meet Rico (above) and Charlie (below), my furry companions for this photoshoot. Rico was quite difficult to handle and gave me quite a workout, he does not like to pose on demand and is very energetic. He just wanted to play and roll around in the snow. Charlie on the other hand is very sweet and mellow. The rest of the weekend was spent playing with the cats and petting them while they were sleeping on my lap. Those of you following me on Instagram @skinny_buddha might have already seen these bundles of joy. This was by far the most relaxing weekend I had in a while. I had prepared this post before my trip to Shanghai with the intention to publish it there. But as you know, much to my dismay I discovered soon after my arrival there that many of my favorite sites were banned, my blog included. The pictures were shot back home, just before I left, and are part of a challenge that my friend Laura set out. We decided to each create an outfit incorporating this wonderful sweater with detachable collar and back zipper detail from 33F. Hope you like the way I styled it. My reference was a modern version of a Chinese school girl. You sould also check out what my friends Laura (Living in a shoe) and Claudia (Qwearty) have prepared for the challenge. 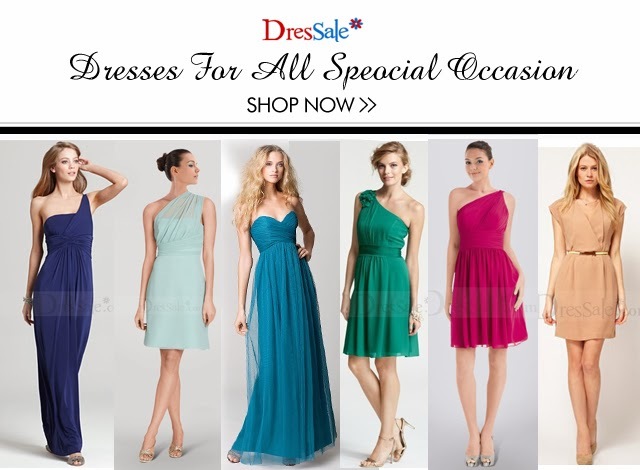 2 days left to enter the Dressale Giveaway! With the sudden drop in temperatures came the time to bring out the big guns. And by that I mean the winter coats. This season, the bigger the coat the better. I had my eye in this beautiful coat that I now call my cocoon coat from Nowistyle and I couldn't wait to get it. I absolutely love the shape. It can be worn open if the weather permits, cinched in the waist with a belt or pinned with a brooch. I am going to search for a pair of colored long gloves to go with it, maybe purple, to add a little splash of color. Don't forget to enter the Giveaway here before it ends on December 6th!